Researchers from Japan's Tohoku University develop a new bottom-up way to produce defect-free graphene nanoribbons (GNRs) with periodic zigzag-edge regions. Using this method, one can control the GNRs' growth direction and length distribution. 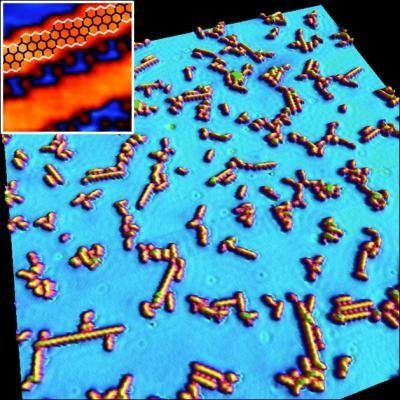 Current bottom-up processes use inert substrates - like gold or silver, and this completely determines the way the graphene molecules are assembled, and cannot create zigzag-edge GNRs. The new method uses a copper substrate - which is more reactive then gold or silver. This introduces new substrate-to-molecule interactions, in addition to the intermolecular interactions.